Sponsorships and grants are vital to our providing free services for those who need them. 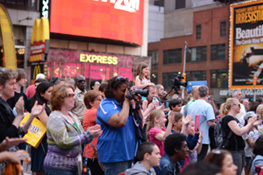 If you believe in what we are doing and would like to support our mission to use music to better the lives of children and families, please consider becoming a sponsor for the production/distribution of our free music or our major event, such as TUNES IN TIMES SQUARE. We deeply appreciate your financial support! 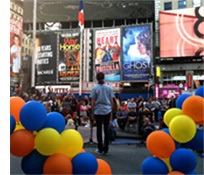 To become a Sponsor for our music or major event, please contact us at info@magicalmusic.org for details.